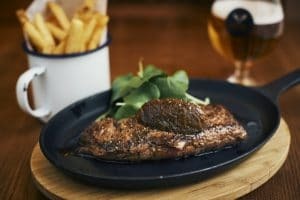 Every Tuesday throughout January and February we’re featuring a fantastic cut of beef served with one of our great beers, with our butcher Aubrey Allan. Call it a steak night if you want we just know it’s great food and beer! What more could you ask for?